Some people may find that a french manicure is kind of tacky, but I have always felt they are just so classic. 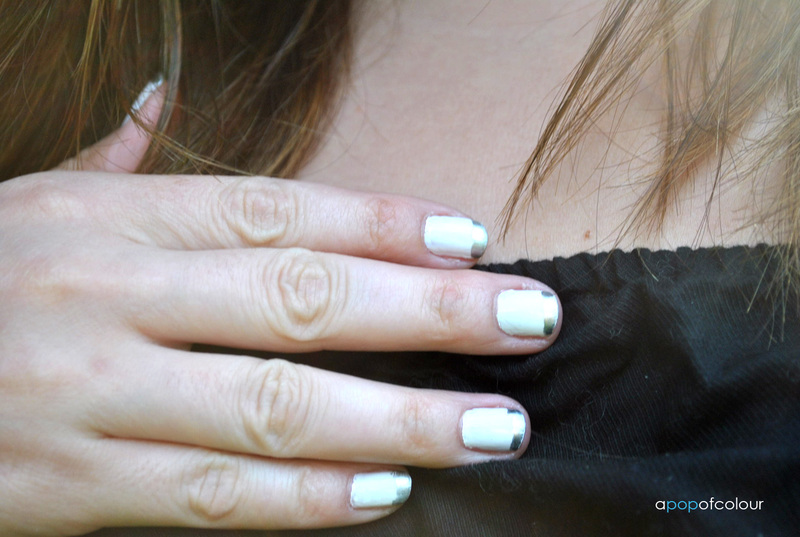 Nail art is everywhere right now and there are a few ways you can spice up a french mani, including playing with metallics and cream colours. 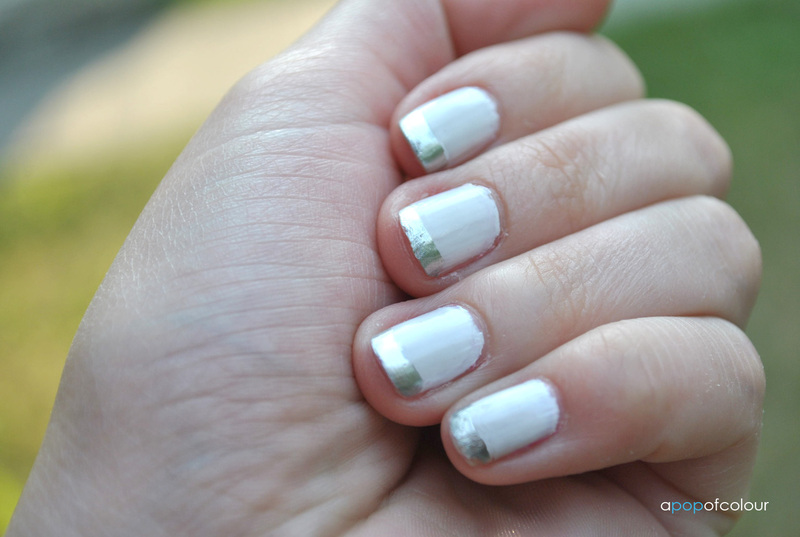 I actually came across a similar look online and since Essie released their Mirror Metallics collection, those shades are perfect for creating a metallic french manicure. To create this look I used Orly’s Dayglow, a white cream colour with a hint of blue shimmer (it’s non-existant when painted on though). After that was dry I then took Essie’s No Place Like Chrome (silver metallic) and painted it on the tips of my nails. To finish off the manicure I used Poshe top coat. I really like this look because it’s a different take on a classic. Essie’s metallic shades go on quite pigmented so literally one swipe of the colour left me with opaque colour. Let me know if you recreate this look. Also, what are your thoughts on french manicures?